Blog Description: Healthcare Career Resources is a blog for those who work in the healthcare industry. We cover topics ranging from current events to medical humor as well as more career focused topics such as job search and interview tips. 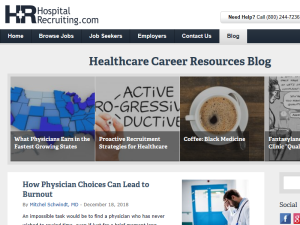 We also publish articles written for healthcare human resources and physician recruiters.